Aftermarket has been publishing quality information, news, technical and training articles to the automotive aftermarket since 1992. 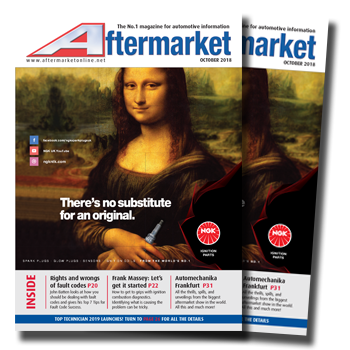 With the highest ABC controlled circulation in the sector, Aftermarket delivers your message to all the right people. By continually checking our data we ensure you have the best vehicle for your company's message. Aftermarket's readers are key industry buyers and specifiers in automotive business throughout the UK. Read through a copy of Aftermarket and you will find all the major names to the aftermarket, and some you might not have known. Our independent editorial means that our readers get the information they need and want and this adds value to the advertisements we carry. Aftermarket is the essential tool for any workshop decision maker, ensuring your message is more likely to be seen. Aftermarket is continuously developing and improving. Using in-depth reader research we can accurately provide readers with the information they want and need. This puts Aftermarket at the forefront of developments within the automotive service and repair sector.